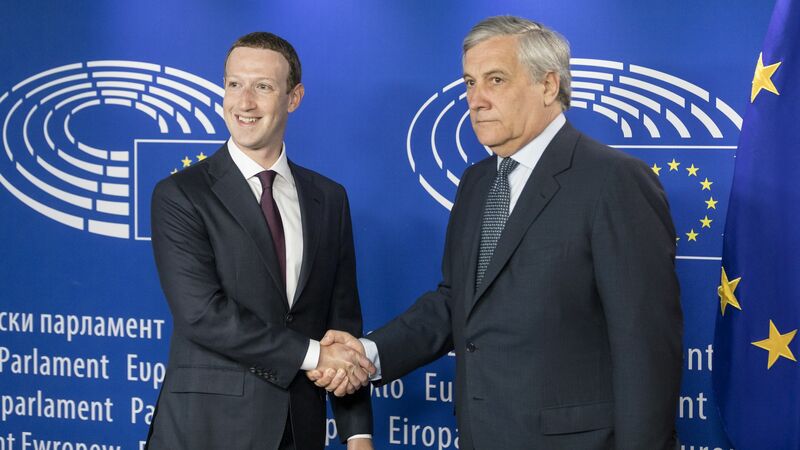 European lawmakers aggressively questioned Mark Zuckerberg on Tuesday in Brussels about whether his company's social networking empire poses a competitive problem, but Facebook's CEO got out unscathed. The bigger picture: Lawmakers scolded and needled Zuckerberg. But the meeting's format — which allowed him to address most of the questions in one big statement at the end — meant he didn't really have to give them answers. What they're saying: EU lawmakers weren't satisfied with Zuckerberg's contention that Facebook isn't a monopoly. "It’s like somebody who has a monopoly in making cars saying, look I have a monopoly making cars but there is no problem, you can take a plane," said Guy Verhofstadt, a member of the European Parliament, taking on the idea that Google or other companies could be seen as Facebook competitors. Multiple lawmakers asked about the prospect of breaking up Facebook's services, which progressive groups in the United States have also called for. What he said: "So from where I sit, it feels like there are new competitors coming up every day," Zuckerberg said. He argued that Facebook faces robust competition both in the market for consumer communications tools (a claim some have taken issue with, because Facebook owns many of the top apps in the space) and in advertising. Lawmakers also asked about a range of other topics, including the upcoming European General Data Protection Regulation and the conservative contention that right wing viewpoints have seen their reach limited on Facebook. But the format worked to Zuckerberg's advantage, letting him get away with generalities. What's next? : Zuckerberg is likely to have to answer some specific questions in writing. Lawmakers in the United Kingdom also continue to push for him to testify before a key Parliament committee. One reason Zuckerberg may be avoiding the U.K. Parliament: there, he might face expert questioners a la the EU lawmakers in a format more like the U.S. congress's rapid-fire interrogations.